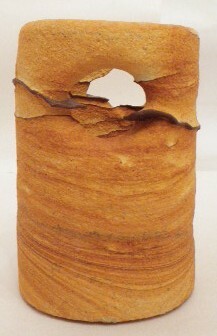 DRC15 – Desert Sandstone tea light is about 2 3/4″ dia x 4″ tall. Category: Arizona Desert Sandstone. Tag: Desert Sandstone tea light.